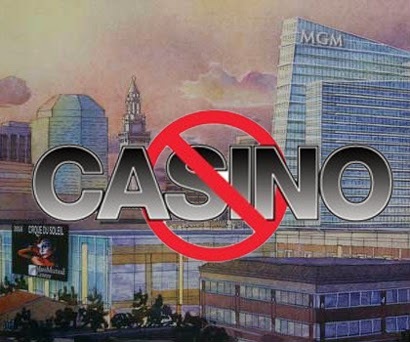 Are you in favor of building a casino in Springfield? The Longmeadow Select Board has begun its activities for the 2013-2014 year. 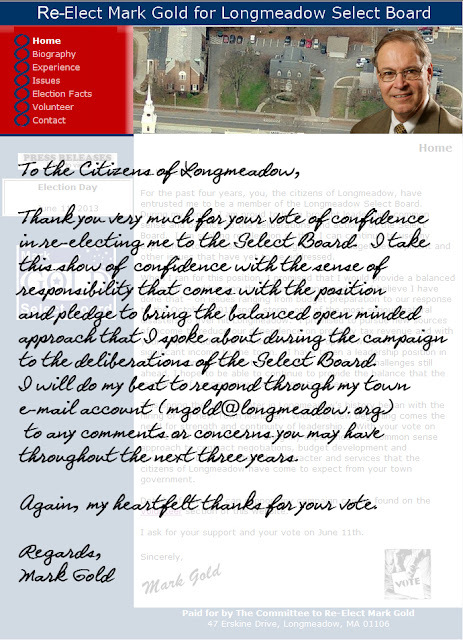 I am honored to serve as Chair, and to work with Mark Gold, Paul Santaniello, Richard Foster, and Alex Grant. I plan to regularly communicate with the readers in order to keep everyone abreast of the issues with which the Board is grappling. My hope is to keep our town well informed about the local issues we confront, and in turn I hope this leads to improved dialogue among all town residents. 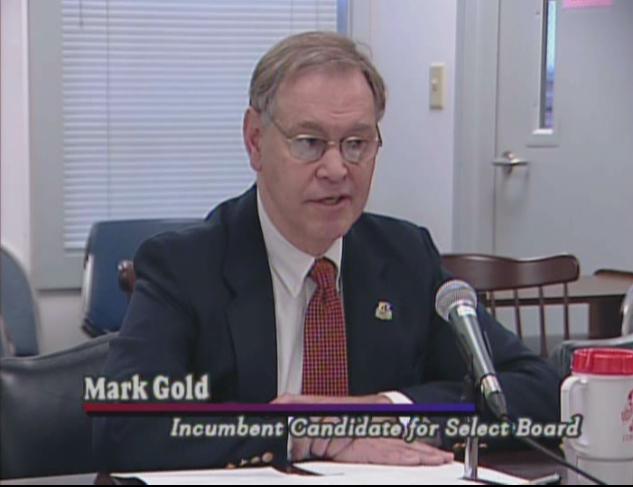 During the Select Board meeting on July 15 the Audit Committee presented the independent auditor’s report for FY2012, and also presented an Other Post-employment Benefit (OPEB) Liability Study. 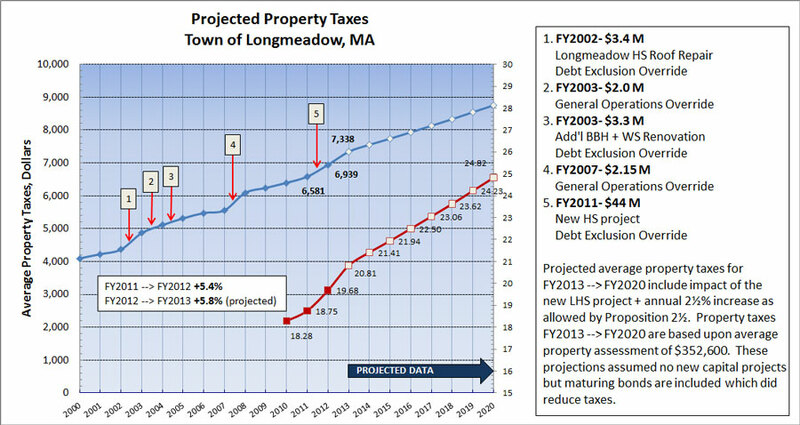 Every year the Audit Committee tasks an outside auditor to review the books and systems employed by the Town of Longmeadow. The committee works with the auditor and town staff to complete the audit, present the report, and make recommended changes. 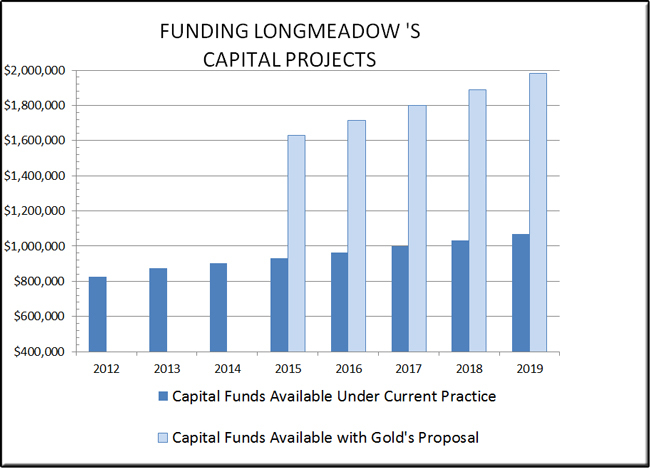 Not every town has an Audit Committee and the Longmeadow Audit Committee is a valuable asset to the town. The Audit Report praised not only the methods employed by the town, but also the Town Balance Sheet. Our bond rating is the highest available to a municipality of our make- up. The report did note the town was running on the high end for unrestricted fund balance (free cash and stabilization funds). However, the fund balances remain in an acceptable range. I would like to think these results demonstrate the hard work of our staff in keeping projects under budget and to successfully increase revenue. The Town Manager is tasked with monitoring the project estimates in the future. The Auditor ended the report with a cautionary note on our unfunded OPEB liability. This is our obligation to pay for retiree health insurance costs. Unlike other towns in our region, we still have a positive balance in our unrestricted net assets in regards to this obligation. However, we will be in the red next year. The auditor praised our willingness to address the problem with establishment of a line item for OPEB obligations in the budget. We are ahead of most towns in Massachusetts in addressing the problem. 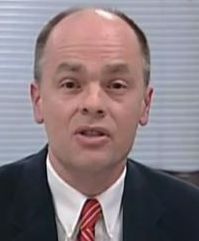 He stated it is unlikely that funding in the budget alone will cover the unfunded liability accumulated each year. The auditor’s report was followed by an actuary’s report on our OPEB obligation. This study is a compliance requirement of the Governmental Accounting Standards Board. The actuary indicated that the town will fall behind next year in funding the problem. He calculated our current obligation to be 38 million dollars. This report only accounts for current employees and assumes no increase in hiring. The presenter stated this problem is shared by all towns and municipalities in Massachusetts and throughout the country. In his view we need to look not just at funding, but also at benefit and plan changes. If changes do not occur we will not be able to pay for retiree health costs in the future without drastic reductions in other expenditures. He did not project when we would not be able to fulfill our obligations. We are “paying as we go”, but the increase in numbers of retirees and increases in health insurance costs will keep mounting. 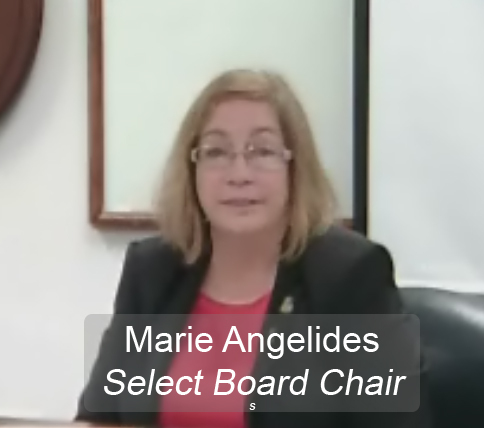 Obviously, our problem with OPEB liability is an issue the Select Board will be addressing repeatedly in the future. This is a complex issue that will require commitment and work on the local level as well as on Beacon Hill. 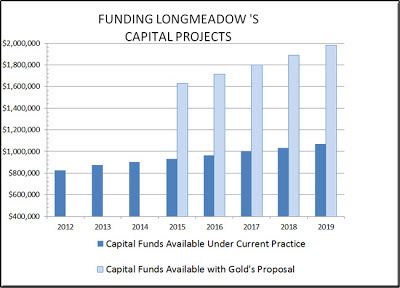 Both the audit study and the OPEB study are available for your viewing on longmeadow.org. Your comments and views on this matter are invaluable in helping to guide us. I was inspired to see the support last night for the compromise budget, but we should remember that this was a limited victory and merely mitigated the cuts to services contemplated by the Select Board budget. All told, the budget passed still was closer to the 0% SB approach than to maintaining level services. If you want to have a shot at avoiding these same kinds of cuts to services next year, you need to vote on June 11 to change the lineup on the Select Board. Otherwise, we'll be having the same conversation next year. 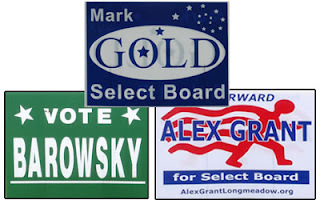 The choice between me, and the two incumbents, Mark Gold and Mark Barowsky, for the two open seats is clear. 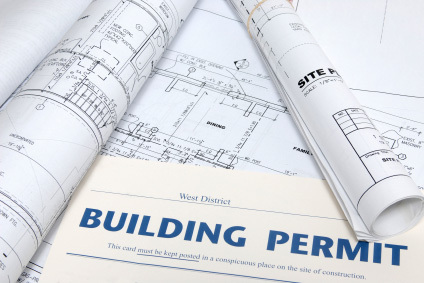 Article 26: To see if the Town will vote to amend the Zoning Bylaw of the Town regarding dimensional requirements and fencing applicable to corner lots, or take any other action relative thereto. 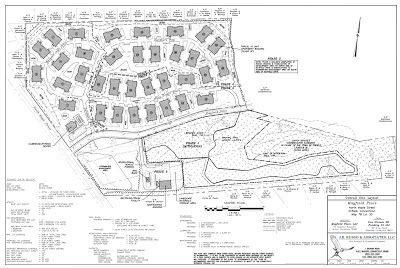 “Front Lot Line.” The front lot line for each lot shall be the street line opposite the rear lot line. “Side Lot Line.” Each lot line that is neither a front nor a rear lot line. 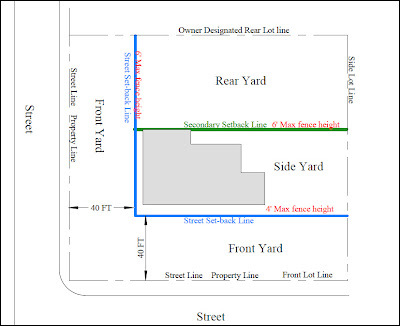 “Rear Lot Line.” A rear lot line is a lot line opposite to the street line. In case of a corner or through lot, the owner may designate which line will be the rear lot line, provided his choice does not involve a violation of any of the provisions of this By-law. In the case of a corner lot where the side lot lines are curved or angled or joined by a tertiary line or curve, the BuildingCommissioner shall designate the extent of the rear lot line. 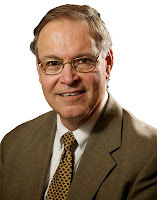 In order to find out more about this controversial subject I attended a Planning Board public hearing on May 1 regarding the proposed bylaw changes. 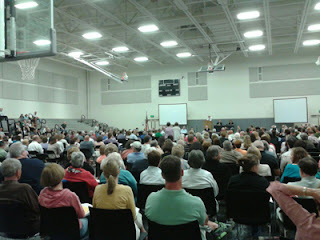 This public hearing was held in order to solicit public comments and was required by Mass. General Law. Only 7 members of the public attended this meeting. 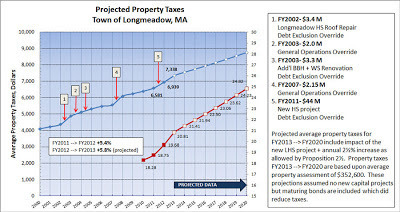 The above chart will be presented at the Annual Town Meeting. 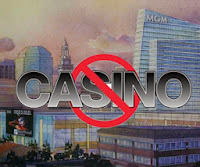 Below are some additional comments that were made during the public hearing. 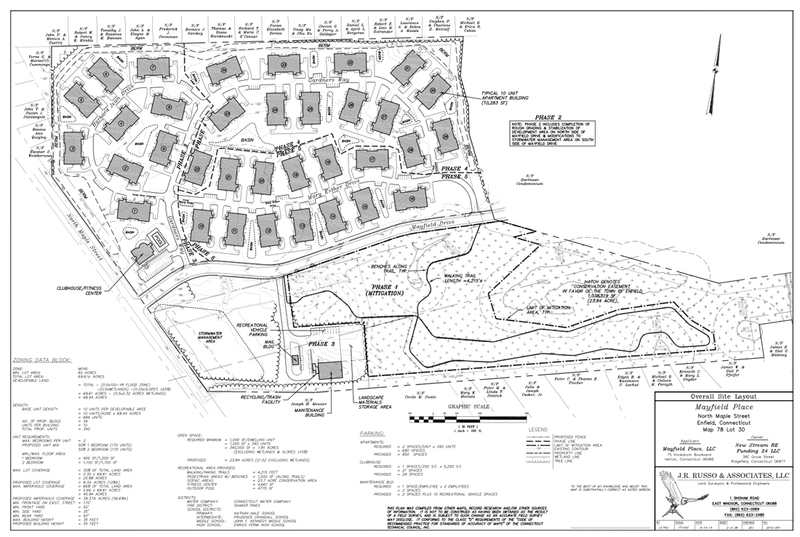 There are approximately 800 corner lots in the town of Longmeadow of which 600 are designated "non-conforming". In most cases non-conforming lots mean that they do not meet the 40 ft setback from the Street Line or Property Line or Front Lot Line. Location of any new fences (or substantial modification of an existing fence) must be at least 40 feet from the Street Line. It was interesting that no member of the Planning Board or Zoning Board of Appeals (who were present) could adequately define what is meant by substantial fence modification which would require a building permit and adherence to the new bylaw no matter when it was originally built. 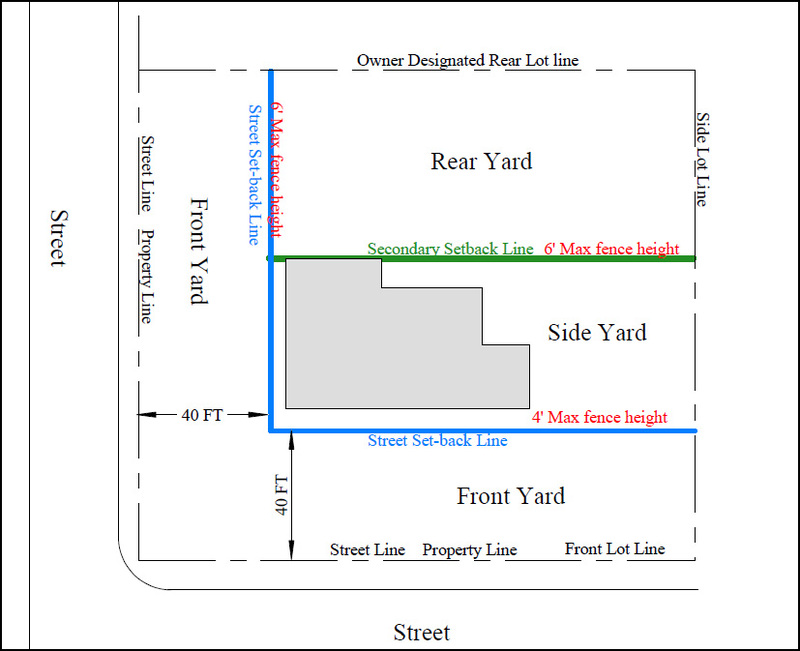 The new bylaw language allows for home owners to define which "street facing side" of their house is to be considered for the Front Lot line which will determine their Rear Yard (see above diagram for details). In many cases that were described at the October STM, this new change in the fencing bylaw will not provide significant relief unless it is at least 40 ft from the Street Line. According to Walter Gunn, PB Chairman, the Longmeadow Building Commissioner/ Inspector (Paul Healey) has reviewed the above diagram and has agreed that it conforms to the language of the proposed bylaw. 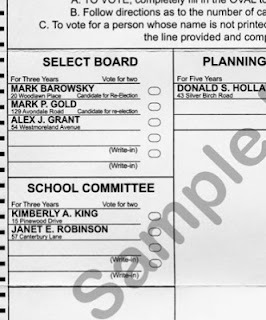 This set of zoning bylaw changes will require a 2/3 vote of the Town Meeting. These proposed changes will likely be discussed at a late hour of the Town Meeting. I believe that this zoning bylaw change should be approved to help provide relief to town residents who are currently facing severe restrictions on the use of their property.